There is no trace of impossibility in the world of Baba! Indra Devi, an ardent devotee of Sri Sathya Sai Baba taught Yoga in Canada. 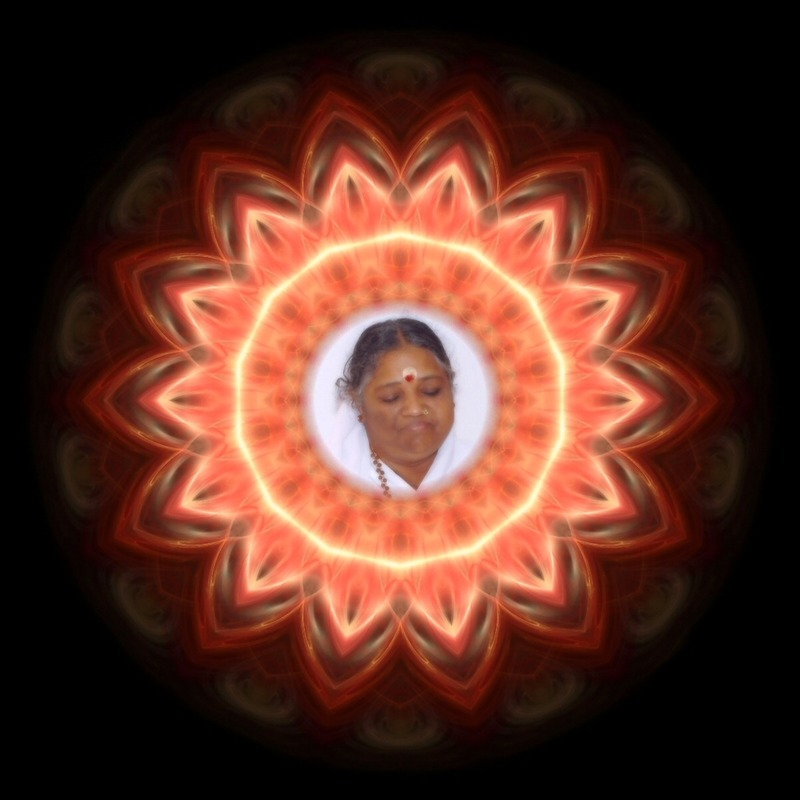 It is said that she witnessed numerous miracles of Sathya saibaba in her life. Once Indra Devi had not planned to attend the birthday of Baba as she was due to visit the country later. After her meditation session one evening, she looked at Baba’s picture and wished, “Bhagavan take me to Puttaparthi for your birthday”. Two years later, the devotee received a phone call from a young man who used to frequent the Sai Baba Centre in Los Angeles, called Chuk Wein. Chuk Wein said that he was calling from the Warner Brothers Motion Picture Studio and asked if she would go to India the very next day to seek Sai’s permission to make a documentary picture of His life! He also added that Warner Bros will bear the cost for her travel. Indra Devi started for India after two days. She learnt from the manager of Air India, Los Angeles that the “Warner Bros” had paid for her tickets. She arrived just when the celebrations of Baba’s birthday had commenced, early morning when Bhagavan hoisted the Prashanthi Nilayam flag and delivered His birthday message. Sathya Sai Baba declared that He was an incarnation of ‘Shiva Sakti’ in order to guide men towards God. He stressed the necessity of a pure heart and the need to cleanse it in order to gain discrimination and love through grace. He said that He was born as ‘love’ in each and everyone and only the day when love is born in one can ever be His birthday! Swami then proceeded from the temple to the auditorium in procession. Easwaramma, Sai’s mother garlanded Him and anointed His head with a flower dipped in fragrant oil. Sai Gita, the elephant headed the whole procession. Indra Devi also had the good fortune of Sai to bless her just the day before her departure. When she was about to leave, Sai materialized a gold medallion of Goddess Lakshmi. Indra Devi pleaded that she did not want anything. But Sai pressed her to accept it saying that it was for the protection of her house, “This is not for you… for the protection of the house – no more fires”. Little was the devotee aware of the difficulty that was about to befall if not for the divine protection of Sai, as she was about to loose her ranch. Having returned from India, the blessed devotee visited the Warner Bros Studio. Wonder of wonders not a soul ever knew Saibaba, leave alone her trip to India that they sponsored! It was yet another Leela or the Divine play of Baba! 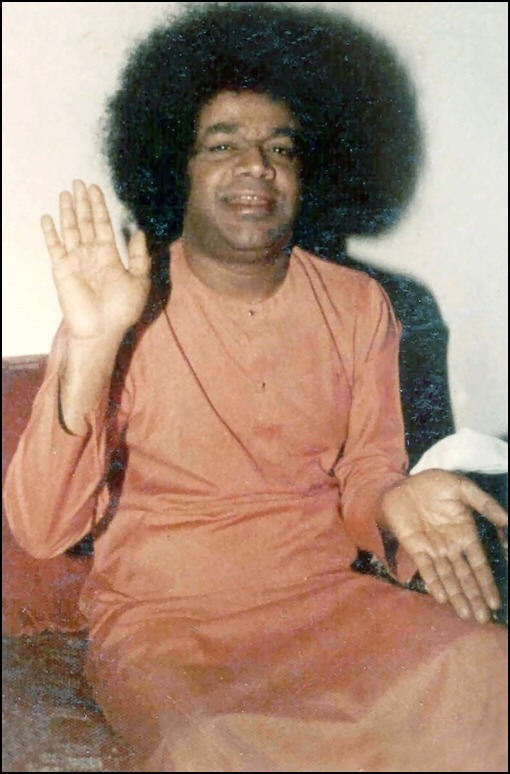 In those days (in the 1940s), Bhagavan Sri Sathya Sai Baba’s birthday did not call for any major celebration. Instead we enjoyed more experiences with the Lord which we now cherish for all eternity. Elderly devotees used to apply the customary coconut oil on His head and we would garland Him with bright flowers while singing bhajans. 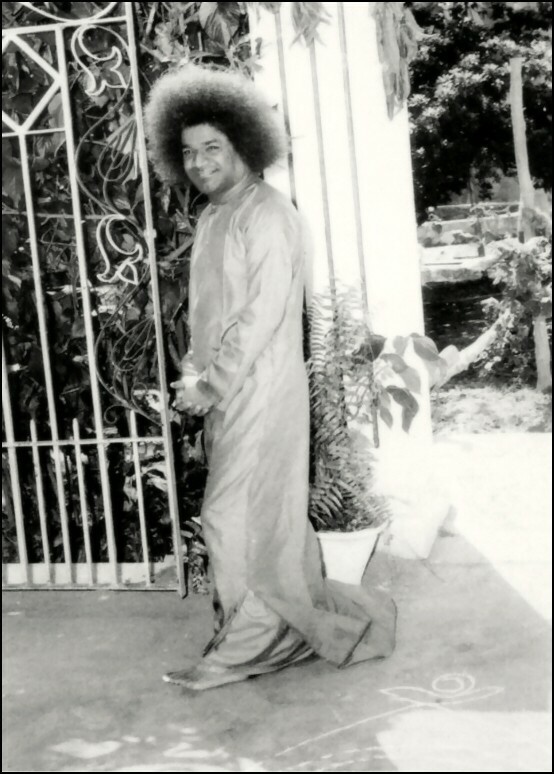 During one birthday, Sathya Sai Baba refused everyone who came to garland Him. The ever playful Sai Baba was enacting a divine drama. But He appeared serious all the same! The 20 or so devotees who had assembled returned with the garland still in their hands, rather downcast and perplexed. This was to have been the highlight of their year! Then they discussed how to attract the mysterious Lord to their side, and collectively requested Sathya Sai Baba to partake meals with them. Sathya Sai Baba asked them to sit inside the Mandir and then surprised the group by serving water and food to everyone with His own hands! Needless to say, they were all moved and overjoyed after their initial disappointment. Maybe Bhagavan was teaching them the lesson that God’s creation is full of ups and downs – but be assured that when it seems as if things have gone awry, He will always wipe away our tears in an unexpected way! There lived an old man named Kadirappa in the village who used to wash up all the utensils after devotees had partaken their meals. Generally, he ate the leftovers from these cooking vessels, and often, this comprised of just plain steamed rice, without any salt, or garnish, and was rather lacking in nutrition. Once, when this old man was eating silently sitting beside the well, Sathya Sai Baba went into the kitchen and brought out all that my mother had personally cooked for Him. At the tender age of three and four, He showed that He had a heart that melted at human suffering. Whenever a beggar appeared at the door and raised his cry, Sathya left His play and rushed inside to force His sisters to hand out grain or food. The adults were naturally irritated by the endless procession of outstretched hands. That did not daunt the child. He would run inside and bring out food to the hungry man at the door and later stay away from lunch or dinner himself. Nothing and no one could persuade Him to come for His food which was left untouched! Sathya Sai Baba used to sit along with devotees and discuss with them various topics. Many came to Him for advice, which He offered with the greatest of concern. The number of devotees in the Mandir in those days often did not cross single digits; even ten people on normal days was a big number. Everyday, turmeric powder and vermillion was placed on the deities who adorned the altar. Incense sticks and lamps were also lit, and all these duties were done in turns by the ladies staying in the Mandir. One day, it was my mother’s chance to decorate the idols and light the lamps. While she was busy doing this, Bhagavan Sri Sathya Sai Baba was actually standing right behind her. Sathya Sai Baba made a few remarks expressing his apparent displeasure in the way the idols were being adorned. When my mother heard this, she immediately turned around and what did she see? In stead of Sathya Sai Baba, it was the Divine Mother in the form of Sakthi Swaroopini! She was decked in a red silk saree; Her face was shining turmeric powder and vermillion; beautiful gold jewelry adorned Her neck. What a divine blessing Satya Sai Baba has conferred on her! It was just heavenly. She often recounted this glorious darshan with great fervour. 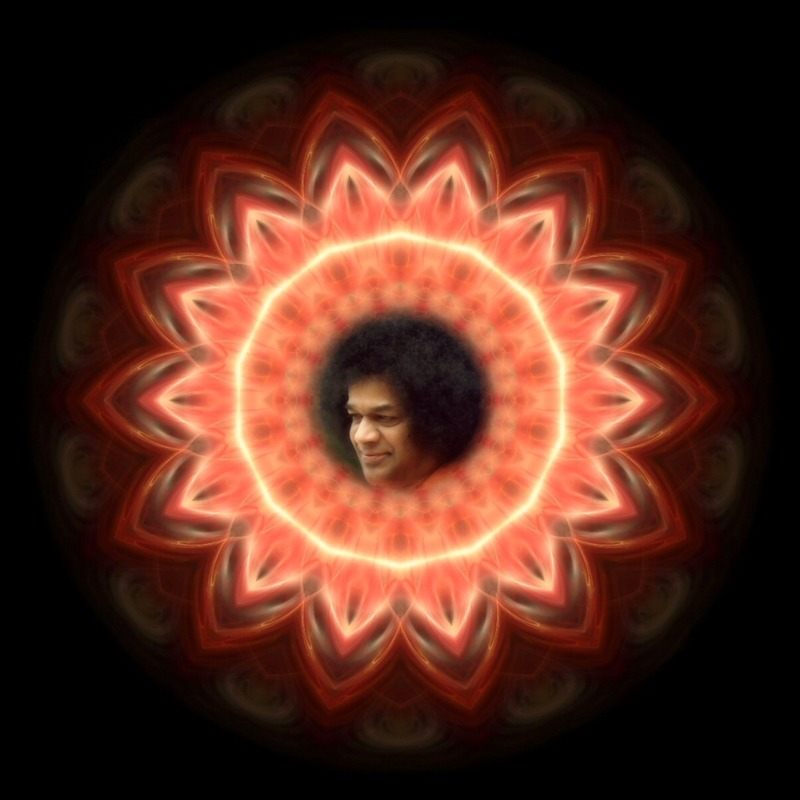 In those cherished days, I was awed by the glory of Sathya Sai Baba. We have not seen Lord Rama or Lord Krishna, but the present Avatar is living with us, amidst us! What a great opportunity! Darshan is a sacred river that transports us to a realm beyond words, thoughts and ideas. 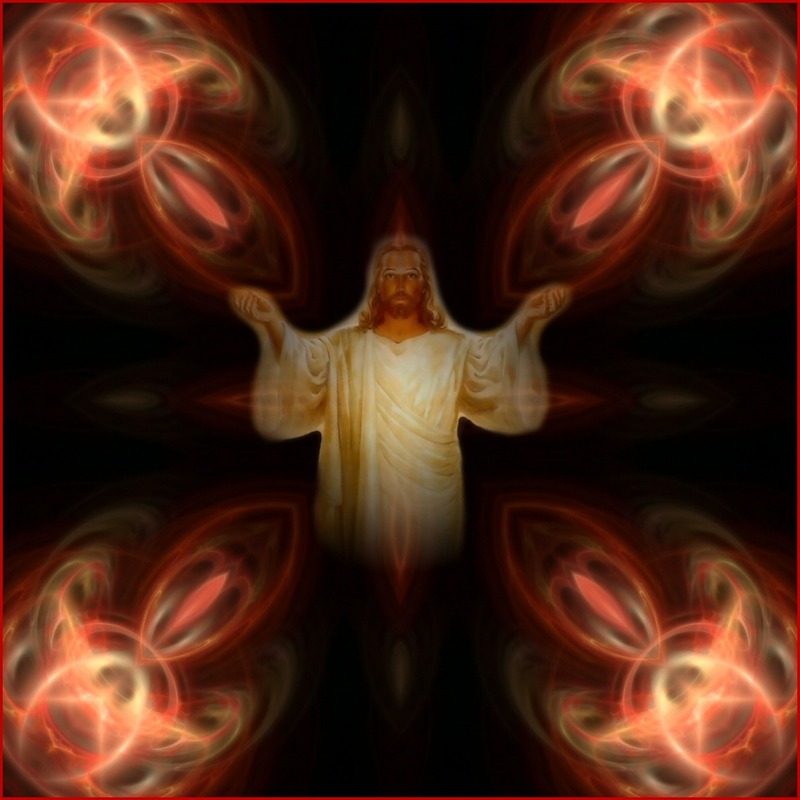 A sacred vision of light the invokes the sublime, opens the heart and purifies the mind. Let the light illumine the dark and feel the blossoms of bliss unfold from within. Dr. T. Ravi Kumar joined the erstwhile Sri Sathya Sai College at Brindavan (Bangalore) as a student for his intermediate course in the year 1974. He continued this with his Bachelors in Science in the same college. After he completed his Masters in Science (Chemistry), he joined the Sri Sathya Sai College as a faculty member in 1981. Later, he was awarded Doctor of Philosophy in Chemistry from the Sri Sathya Sai University in 1990. Currently, he is a Reader in the Department of Chemistry in the Brindavan campus of the same university. Additionally, he is a talented speaker and a keen student of Sri Sathya Sai literature. The saddest day and the happiest day in my life fell on the same day – September 15, 1963. I was only 4 ½ years old then, and my mother had passed away that day. In the evening, as her body was being taken away for cremation, my cousin, who was slightly older than me, whispered into my ears that my mother would be taken in a procession. That somehow made me a lot happier as I imagined that it would be like the temple procession. Every image that my little mind could evoke of that religious parade was one of joy and gaiety. But when my cousin said that “… she will not return” I was plunged in grief. All attempts to soothe me failed, and so I was taken across the street to my aunt’s house to keep me distracted. This aunt of mine was a devotee of Sathya Sai Baba, and so there was a nice photo of Baba in the front room of the house. Looking at it, I asked her who He was. And she told me: “This is God. Pray to Swami and He will protect you”. Little did I realize then that the Divine mother’s compassionate eyes had fallen on me, at a time when my physical mother’s eyes had closed. And from that instant, I can say, my life has never been the same again. It was in the year 1968 that my father was cured of cancer by Sathya Sai Baba by just uttering “Your cancer is cancelled”. Father lived for 38 years after that, and died of old age a couple of years ago! He was active till his last breath. My family and I had always thought that it was only in 1968, after this miraculous curing of my father’s cancer, that we had the good fortune of being drawn to the lotus feet of Bhagavan Sathya Sai Baba. But the sweet Lord was soon to remove our misconception! One day, when I had the blessing of speaking in His Presence, I mentioned about how my family and I had come under Swami’s fold. But the all-knowing Lord corrected me by saying, “Not 1968 – 1963”. Sathya SaiBaba went on to mention “Do you remember the day your mother died? Did you not ask your aunt, seeing My photo ‘who is this, aunty?’ From that day onwards, I have been looking after you”. And what an exciting journey it has been with Sai Maa to guide me! Swami has been a mother, nay much more than a mother to me! At the time it was made known that my father was suffering from cancer, our lives went through quite a few twists and turns. Since he was not expected to survive the cancer ailment, on returning to office after his trip to Puttaparthi, he found many of his colleagues, who were quite junior to him, had been promoted. This meant my father had to work extra hard to make up for lost time and opportunity. At that time, I was studying in high school and fell into bad company. The school I studied in had the distinction of having three cinema theatres in front of it, and we – my friends and I – used to spend our afternoons in the cinema theatre watching movies and whiling away time. In fact, we would see as many movies as there were days in a week – we would even go for a morning show to make up for not seeing one on Sundays, which was a school holiday! One Sunday, my family and I went to Brindavan (Baba’s ashram in Bangalore) for Swami’s darshan, and Sathya Sai Baba picked us for an interview. Now, normally everyone looks forward for this blessing. You only need to see the joy on the faces of the devotees thus selected to understand what it means to them. However, as we went to the interview room, I was filled with mixed feelings. There was a slight panic somewhere within my heart along with the joy that we had secured the coveted interview. As Swami returned from the darshan, He passed us and patting me on my cheeks, said “Good boy”. Now, anyone who gets this remark, even once in his life, would feel that the purpose of life has been achieved, and would be excited and thrilled. But, believe me, it was nothing compared to the bliss I felt. The reason for this was two fold: on the one hand, Sathya Sai Baba had ‘certified’ that I was a good boy and I could wear this on my sleeve. But more importantly, on the other hand, it was also a feeling of tremendous relief as it confirmed that even Sathya Sai Baba was not aware of what I was up to! However, the very moment this thought passed me, Sathya Sai Baba looked at my father and enquired about the other friends who had accompanied him. On being told that they were on the grounds outside, Baba sent him to fetch them. Satya Sai Baba quipped back saying, “That’s right, you should have been…. But where were you?” (I realized that the questions were becoming tougher and decided to remain silent). Swami continued, “Shall I tell you? You were sitting in the third row from the last in Ajanta theatre with your friends G and P on either side of you watching the film Katti patang” (a Hindi movie; the title means “a runaway kite”). That was a precise description of my life till then! Swami’s voice trailed off, when from the corner of my eye I noticed that my father was coming with his friends. I shuddered realizing that it would be a red letter day in more than one way. Swami might choose to expose me within a second’s time and my father would punish me… my father strongly believed in the theory ‘do not spare the rod and spoil the child’. But what followed next, transformed me inside out! Instead of revealing it all to my father, Sai Maa, with the most loving smile, said, “He is a good boy. I was advising him to keep good company”. I reasoned that Sathya Sai Baba could have used this incident to demonstrate to my father and the others His omniscience, but chose to save me instead. From that moment, I decided to love this Mother with all my heart and serve Her lotus feet all my life! This incident, truly, marked a new beginning in my life; I turned a new leaf. But what made it even better was when, after my schooling, Swami gave me the priceless privilege of being selected for the Sri Sathya Sai College for my intermediate class (XI and XII grade). This meant that I could enjoy Swami’s proximity, and could grow up in the Divine Presence. That was in the year 1974. But now, when I look back at the tapestry of my life, I can see how Swami has so intricately and lovingly woven it with threads of gold. Being in the junior most class, and that too the shortest, did not do much to boost my self-confidence. I secretly yearned to add a couple of inches to my height. One morning, in my first year, standing in front of the porch in Brindavan, Sathya Sai Baba said, “All short boys come to the front”. I was surprised to see that there were about 8 of us! Sathya Sai Baba called the warden and instructed him to give us all a ‘medicine’ for growing tall! He handed over a box and instructed that it be given to us with hot milk in the morning everyday. The warden marched us to his office, and as an additional precaution noted down our heights. The next morning, when we were given the ‘medicine’ we were delighted to find that it was very tasty and sweet. How many times have we heard of a ‘sweet medicine’? But when the dispenser is the Divine Mother, how else would it be? After fifteen days the ‘medicine’ was fully consumed. The warden went to Swami for the next ‘dose’. Swami just said, “There is no need. Measure their heights and see for yourself”. And of course all of us had grown taller. The evasive couple of inches had been added! Realization dawned on me that there was nothing too small to escape Swami’s attention, and nothing too big that He could not bless us with. It was a few days after the 70th birthday celebrations in the year 1995. I was sitting in the first line in the Bhajan Hall. Sathya Sai Baba had called a group of devotees and was inside the interview room. I was reading an English translation of the Tamil classic Periya Puranam which my sister had presented to me a few days ago. It was the life story of Thirugnana Sambandar – a child devotee of Lord Shiva. In that particular story, one day, when the father wants to go to the temple tank for a bath and swim, the child, who was barely aged a couple of years, insists on accompanying him. A tantrum follows and the father is forced to take the child to the temple tank. The father goes for his bath, leaving the child on the tank bund. After sometime, the child starts crying……. At this moment, Sathya Sai Baba came out of the interview room and putting away the book I was reading, I looked at Him. Sathya Sai Baba came into the Bhajan Hall, went along the aisle, and talked to a devotee at the end of the hall. 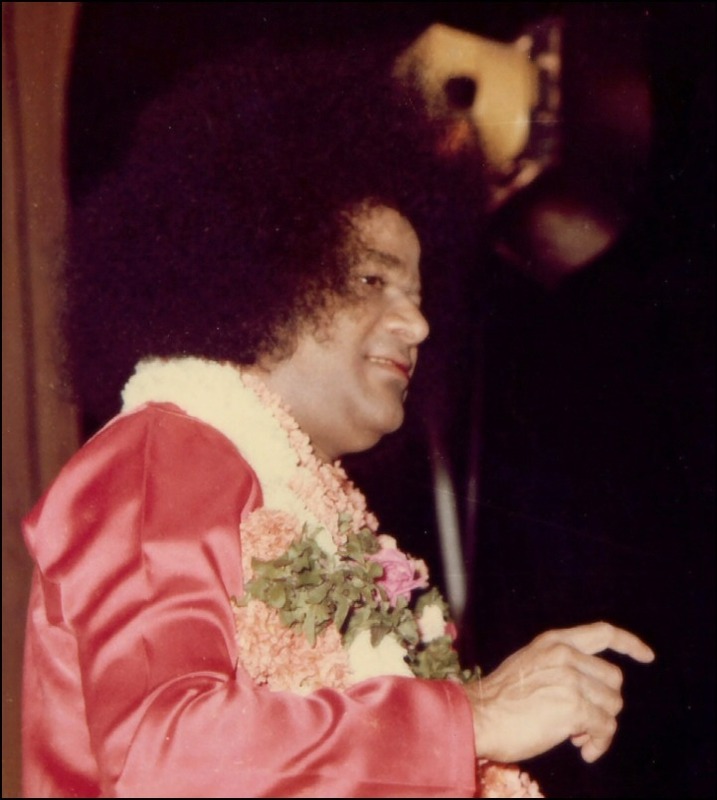 When He returned, He looked into my eyes and asked, “Tell me how many litres of milk do you need?” The first thought that came into my mind was that Swami had warned me to reduce my weight six months before, and in fact, had even listed the items to be avoided! Had I failed in the attempt to diet? Swami repeated the same question thrice, and being unable to understand the purport of the question I remained silent. You can imagine my state. I put the book down, as tears of joy filled up my eyes. I was exhilarated when I realized that the very same Shiva and Shakthi had asked me the same question just a few moments ago! 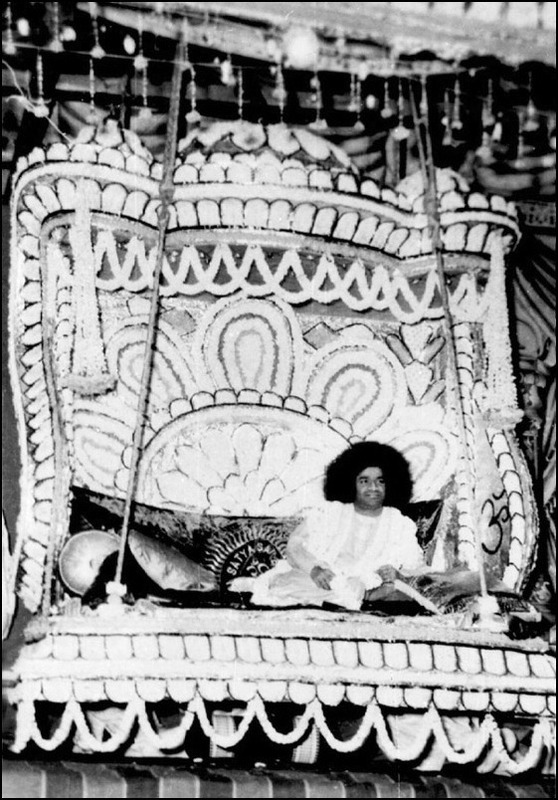 I also realized that it was at the same spot (in the Bhajan Hall), that in 1963, on the Guru Poornima Day, Sathya Sai Baba had declared that His was the incarnation of both Shiva and Shakthi and cured Himself of the paralytic stroke. To be a child and to enjoy the loving care of the Divine Mother is the greatest of experiences. Once in Trayee Brindavan, Swami was consoling a new student who had just joined that day, and was crying due to home sickness. He said, “I shall take very good care of you like your own mother… ask Ravi here, he knows”. Brig S.K. Bose and his story how Sathya Sai Baba saved him while a discourse was in session. Let me share with you one fascinating story of Brigadier S.K. Bose, who after retirement from service as commandant of the college of military engineering Pune dedicated himself wholly to serve Sri Sathya Sai Baba and humanity in general. Even at the age of 80 years, he remained busy in constructions works of educational interest under Saibaba in the Sri Sathya Sai Institute of Higher Learning – deemed University. I had good fortune of meeting Dr. Bose on the veranda and he invited me to visit his room. He gave me his recently published book and I wish to share with you, his story when he died in the presence of Swami during a discourse and how Swami saved him. As he was seated on a chair next to the dias on which Purna Ahuti was offered by SaiBaba, casting sacred things and jewels to the fire of the homa, Swami started his divine discourse on Vijay Dasami. Dr Bose his eyes & ears were listening to His discourse. Suddenly Dr Bose felt UN-easy and felt complete lifelessness. Swami saw this as what happened to him… He stopped his discourse and made several gestures by both hands in the air, as if He were driving away something hovering in the air above him. In my dead body I could see, my body lying there and some thing Hovering in the air. Then I saw huge bird floating over me, some six feet high from my level. The majestic bird was golden brown with a white streak at the neck. It was looking at me kindly and I too looked at this huge bird in the midst of dussera celebration and why he had come??? Suddenly the bird disappeared and I could see what was happening to my life-less life, body removed from the chair (where I had been seated) by two seva dal volunteers who placed the body on the aisle between the front row of chairs and first row of devotees sitting on the floor. Among them was Mr. Richards an American devotee permanently settled at Prashanti Nilayam. He said he could see Dr. Chari the head of Sai hospital and Dr. Patel an old devotee rushing to the body and examining it meticulously. Meanwhile Swami had switched off the mike on the podium, where he had just begun His divine discourse on Vijaya Dasami. On this auspicious Vijay Day, Swami standing close to me, I tried to lift my right hand to take padnaskar. Swami said Bose get up. I obeyed and sat with folded hands full of joy. The Swami made another thrust with His right hand on my shoulder charging me with energy (Shakti). He said stand up which immediately did. As He left the aisle for the podium on the stage to continue his Dussera discourse. He said, go up the steps of the stage and sit near the window. Without any aid I crossed the 25 feet of the aisle and climbed 5 large wooden steps to reach the stage. My wife and daughter were on the ladies side and were unaware of this high drama. Dr Bose concluded he had felt no agony or pain in dying so peacefully on Dussera day 1988. Swami had brought me back to life. After the completion of His discourse. Dr Bose could return home at south Prasanti SA safe and healthy. However high a bird may soar, it has sooner or later to perch on a tree top, to enjoy quiet. So too a day will come when even the most haughty, the most willful, the most unbelieving , even those who assert that there is no joy or peace in the contemplation of the Highest self, will have to pray “God grant me peace, grant me consolation, strength and joy”. Narayana said: O Narada! I will now narrate the wonderful glories of that unthinkable, unmanifested World Mother, leading to Mukti. Hear, as a Mother behaves towards Her child kindly and without any hypocrisy, so the World Mother in all Her lives manifests Her merciful sincere dealings for the welfare of the humanity. In days gone by, in the nether regions, in the city of the Daityas, there lived a powerful Daitya named Aruna. He was a furious Deva Hater and a pakka hyprocrite. With a view to conquer the Devas, he went to the banks of the Ganges in the Himalayas, practised a very bard Tapasya, to Brahma, taking Him to be the Protector of the Daityas. First influenced by Tamo Guna, he withheld in his body the five Vayus and partook only the dry leaves and repeated, the Gayatri Mantra and practised austerities. Thus he practised for full ten thousand years. Then for another ten thousand years the Daitya lived drinking some drops of water only; then for another ten thousand years he remained by inhaling air only; and then for another ten thousand years he did not take any thing and thus practised he his wonderful Tapasya. 42-49: Thus practising his Tapasya a sort of wonderful halo of light emitted from his body and began to burn the whole world. This thing then appeared a great wonder. All the Devas then exclaimed. “Oh! What is this! Oh! What is this!” And they trembled. All were very much terrified and took refuge of Brahma. Hearing all the news from the Devas, the four-faced Bhagavan rode on His vehicle, the Swan, and with the Gayatri went very gladly to where the Daitya was practising his austerities and saw that the Daitya was immersed in meditation with his eyes closed; and he looked, as it were, blazing with fire, as if a second Fire himself. His belly had become dried up, body withered and the nerves of the bodies, too, became almost visible; only the life breath was lingering there. Brahma then spoke to him: “O Child! Auspices to you! Now ask the boon that you desire.” Hearing these gladdening nectar-like words from the mouth of Brahma, Aruna, the chief of the Daityas opened his eyes and saw Brahma in his front. Seeing Brahma before him with a rosary of beads and Kamandalu in his hand and attended by Gayatri and the four Vedas, muttering the name of the Eternal Brahma, the Daitya rose up and bowed down to Him and sang to Him various Stotras. 50-59: Then the intelligent Daitya asked from Brahma the following boon that “I shall not die. 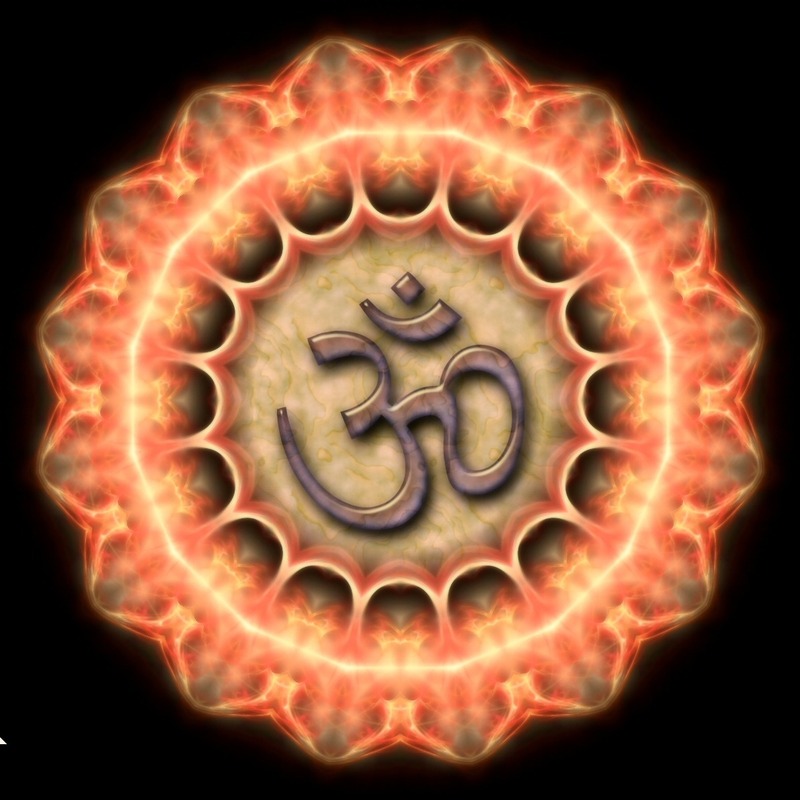 Grant this.” Brahma then gently explained to him: “O Best of the Danavas! See that Brahma, Visnu, Mahesvara and others are not free from this limitation of death! What to speak then for others! I cannot grant you a boon that is an impossibility. Ask what is possible and just. The intelligent persons never show an eagerness to an impossibility.” Hearing the above words of Brahma, Aruna again said with devotion: “O Deva! If Thou art unwilling to grant me the above boon, then, O Lord! Grant me such a boon, as is practicable, that my death shall not be caused by any war, nor by any arms or weapons, nor by any man or any woman, by any biped or quadruped or any combination of two and grant me such a boon, such a large army as I can conquer the Devas.” Hearing the words of the Daitya, Brahma said “Let that be so” and went back instantly to His own abode. Then, puffed up with that boon, the Daitya Aruna called on all the other Daityas that lived in the nether regions. The Daityas, that were under his shelter, came and saluted him, as their king and, by his command, they sent messengers to the Heavens to fight with the Devas. Hearing from the messenger that the Daityas were willing to fight with the Devas, Indra trembled with fear and went instantly with the Devas to the abode of Brahma. Taking Brahma, too, along with them from there, they went to the Visnu Loka and took Visnu with them and all went to the Siva Loka. 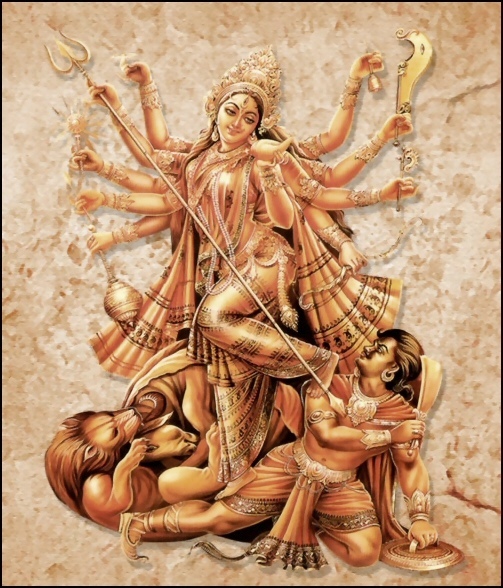 71-77: Thus commanding Brihaspati and thinking that the beautiful Protectress of Jambu Nada would protect them the Devas all started to worship Her and, going there, began the Devi Yajna and with great devotion muttered the Maya Vija and practised asceticism. On the other hand, Brihaspati went ere long in the garb of a Muni to the Daitya Aruna. The king of the Daityas then asked him: “O Best of Munis! Whence and why have you come here. Say, O Muni! Where have you come? I am not one of your party. Rather I am your enemy.” Hearing the above words, Brihaspati said: “When you are worshipping incessantly the Devi whom we too worship, then say how you are not a one on our side!” O Saint! The vicious Daitya, hearing the above words and deluded by the Maya of the Devas, forsook the Gayatri Mantra out of vanity and therefore he became weak, bereft of the Holy Fire. 78-85: Then Brihaspati, having succeeded in his work there, went to the Heavens and saw Indra and told him everything in detail. The Devas became satisfied and worshipped the Highest Deity. O Muni! Thus, a long interval passed, when one day the World Mother, the Auspicious Devi appeared before them. She was resplendent with the brilliance of ten million suns and looked beautiful like ten millions of Kandarpas (Gods of love). Her body was anointed with variegated colours, etc. ; She wore a pair of clothings; a wonderful garland suspended from Her neck; Her body was decked with various ornaments and in the fists of Her hands there were wonderful rows of hornets (large black bees). Her one hand was ready to grant boons and Her other hand was ready to hold out “no fear”. On the neck of Bhagavati, the Ocean of Mercy, and peaceful, were seen the variegated garlands with large black bees all round. Those male and female bees singing incessantly all round Her the Hrimkara Mantra (the First Vibration of Force), kotis of black bees surrounded Her. The All-auspicious Bhagavati, praised by all the Vedas, Who is all in all, composed of all, Who is all good, the Mother of all, Omniscient, the Protectress of all, was adorned fully with dress. 97-109: “O Devi! Thou art Savitri; Thou art Gayatri; Thou art Sarasvati; Thou art Svadha, Svaha, and Daksina. So we bow down to Thee. Thou art, in the Vedas, the agamas, ‘Not this, not this’. Thou art what is left after the negation of all this. This all the Vedas declare of Thy True Nature thus as the Absolute Consciousness in all. Thus Thou art the Highest Deity. So we worship Thee. As Thou art surrounded by large black bees, Thou art named Bhramari. We always make obeisance to Thee! Obeisance to Thee! Obeisance to Thy sides! Obeisance to Thy back! Obeisance to Thy front! O Mother! Obeisance to Thy above! Obeisance to Thy below! Obeisance to everywhere round of Thee! O Thou, the Dweller in Mani Dvipa! O Maha Devi! 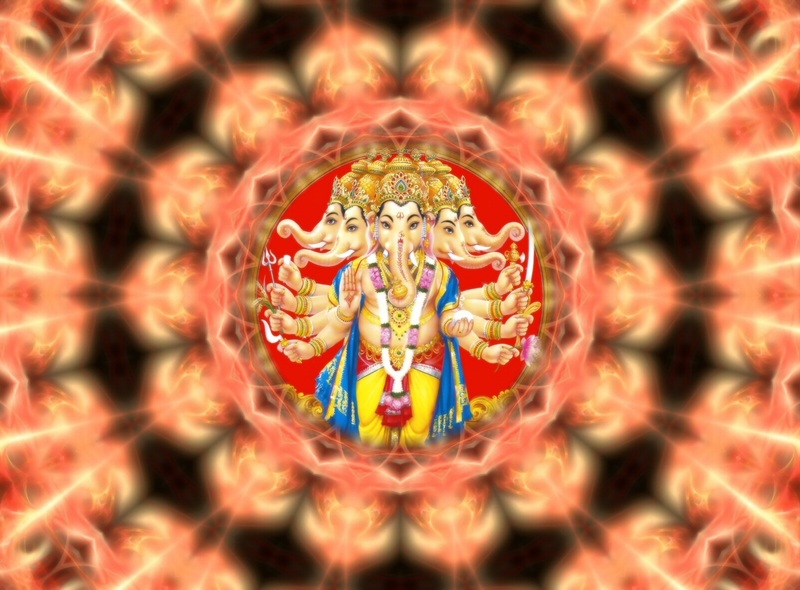 Thou art the Guide of the innumerable Brahmandas! O World Mother! Let Thou be merciful to us. O Devi! Thou art higher than the highest. O World Mother! Victory be to Thee! All Hail! O Goddess of the universe! Thou art the Best in the whole universe; Victory to Thee! O Lady of the world! Thou art the mine of all the gems of qualities. O Paramesvari! O World Mother! Let Thou be pleased unto us.” Narayana said: Hearing those sweet, ready and confident words of the Devas, the World Mother said in the sweet tone of a Mad Cuckoo: “O Devas! As far as granting boons to others is concerned, I am ever ready. I am always pleased with you. So, O Devas! Say what you want.” Hearing the words of the Devi, the Devas began to express the cause of their sorrows. They informed Her of the wicked nature of the vicious Daitya, the neglect of the Devas, the Brahmanas and the Vedas and the ruins thereof, and the dispossession of the Devas of their abodes and the receiving by the Daitya of the boon from Brahma; in fact, everything what they had to say, duly and vigorously. 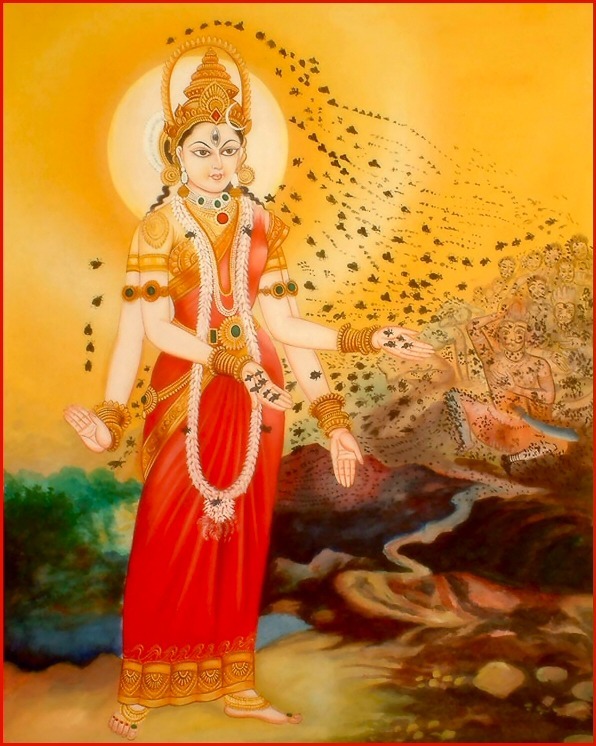 Then the Bhagavati Bhramari Devi sent out all sorts of black bees, hornets, etc., from Her sides, front and forepart. 110-120: Innumerable lines of black bees then were generated and they joined themselves with those that got out of the Devi’s hands and thus they covered the whole earth. Thus countless bees began to emit from all sides like locusts. The sky was overcast with the bees; and the earth was covered with darkness. The sky, mountain peaks, trees, forests all became filled with bees and the spectacle presented a grand dismal sight. Then the black bees began to tear asunder the breasts of the Daityas as the bees bite those who destroy their beehives. Thus the Daityas could not use their weapons nor could they fight nor exchange any words. Nothing they could do; they had no help but to die. The Daityas remained in the same state where they were and in that state they wondered and died. No one could talk with another. Thus the principal Daityas died within an instant. Thus completing their destruction, the bees came back to the Devi. All the people then spoke to one another “Oh! What a wonder! Oh! What a wonder!” Or like this: “Whose Maya is this! What a wonder that She will do like this!” Thus Brahma, Visnu and Maheshwara became merged in the ocean of joy and worshipped the Devi Bhagavati with various offerings and shoutings of chants “Victory to the Devi” and showered flowers all around. The Munis began to recite the Vedas. The Gandharbas began to sing. 121-127: The various musical instruments, Mridangas, Murajas, the Indian lutes, Dhakkas, Damarus, Sankhas, bells, etc., all sounded and the three worlds were filled with their echoes. All with folded palms chanted various hymns of praise to the Devi and said “O Mother! isani! Victory to Thee!” The Maha Devi became glad and gave to each separate boons and when they asked “for unshakeable devotion to Thy lotus feet,” She granted them that also and disappeared before them. Thus I have described to you the glorious character of the Bhramari Devi. If anybody hears this very wonderful anecdote, he crosses at once this ocean of the world. Along with the glories and greatness of the Devi, if one hears the accounts of Manus, then all auspiciousness comes to him. He who hears or recites daily this Greatness of the Devi, becomes freed from all his sins and he gets himself absorbed in the thoughts of the Devi (Sajuya). Here ends the Thirteenth Chapter of the Tenth Book of the account of Bhramari Devi in the Mahapuranam Srimad Devi Bhagavatam of 18,000 verses by Maharsi Veda Vyasa and here ends as well the Tenth Book.